Tomorrow, November 23rd 2018, the USA will have its annual Black Friday. 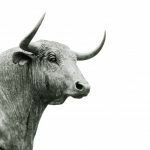 Even though this day is not as ‘important’ as it was in the past, there are some companies that are offering great discounts for their products. 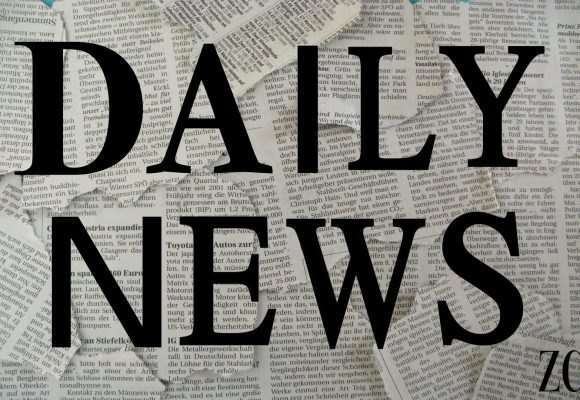 We’ll focus on the cryptocurrency physical products niche – where there aren’t so many established companies, but the products are pretty good. 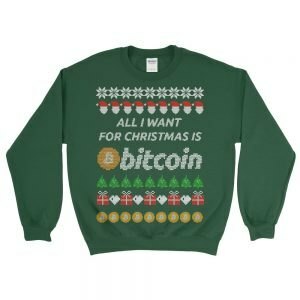 So, if you’re looking to purchase a cryptocurrency related good for you or to gift it to someone else, this article might help you find what you need. Trezor is one of the 2 big companies that deal with hardware wallet manufacturing. Their Model T hardware wallet accepts more than 500 cryptocurrencies to be stored on. The hardware wallet costs 180 Euro including VAT and its a bit more user-friendly that its competitor – Ledger. 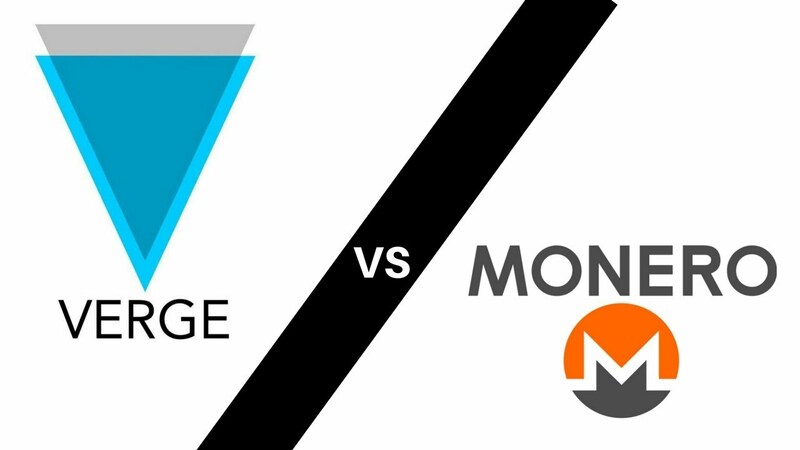 From the security point-of-view, the hardware wallet are safer places to keep the cryptocurrency on – compared to an exchange. 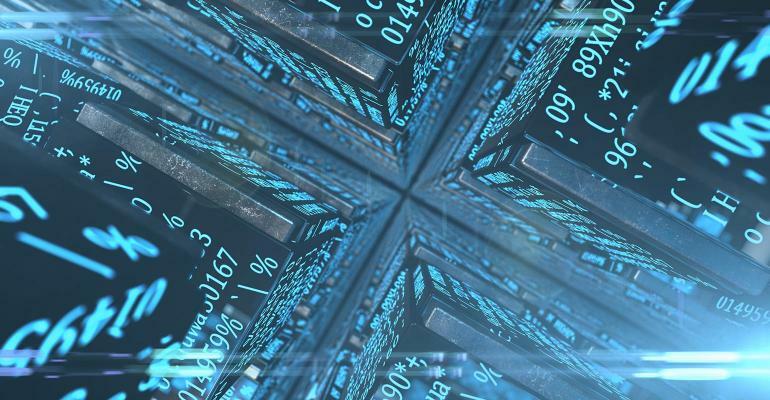 While since their start there wasn’t any hack, we can consider that for this moment the Trezor would be a great option for a cryptocurrency enthusiast or even for a beginner that wants to learn how to keep their cryptocurrencies safe. 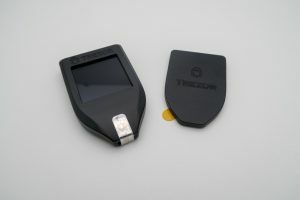 They also have a version more cheaper, the Trezor ONE White, which costs only 83.49 EUR. 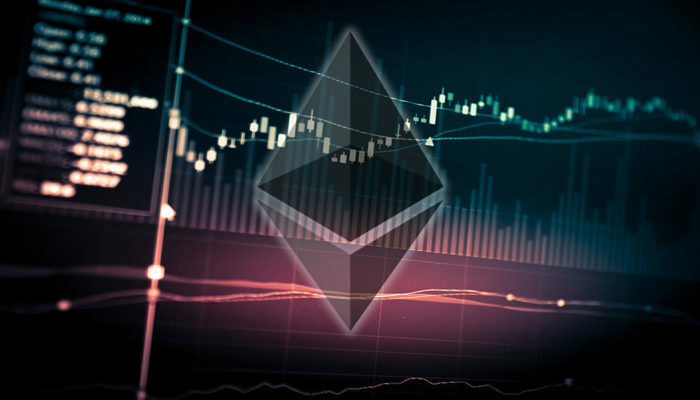 This model accepts over 500 cryptocurrencies too, but some well known ones such as Ripple (XRP), Cardano (ADA), Monero (XMMR) and Tezos(XTZ) are not available on the ONE White Model. On the Model T however, those are accepted. 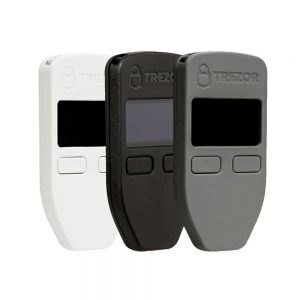 Trezor have a large base of their clients in the USA. Therefore, they could actually create a Black Friday offer for them. Keep an eye on the Trezor Website for further details. CryptoArt is a project started 5 years ago that created digital art combined with paper wallets. 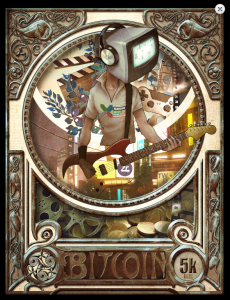 Its a nice way of having some cryptocurrency related art, while also having a wallet where you can store cryptocurrency. 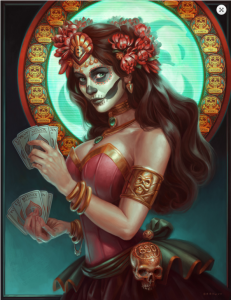 Some of the paintings comes with a pre-loaded amount of a selected cryptocurrency. To gain it, you need to simple scan the QR code from the painting received and you’d have the private keys to the pre-loaded amount. There are already 3 Sold Out Editions – The ’21 Million Bitcoin Club’, ‘Protected: Satoshi Roundtable IV’ and ‘Protectionism’. The first one came loaded with a 100 bits of BTC while the 3rd one with a 0.1 DRK ( 1/10 of DASH). There are a variety of artists that contributed to this project – and right now there are a lot of artworks available with a price between $49.95 to $1099.95 – depending on the size of the painting. Most of them also come with a pre-loaded amount. 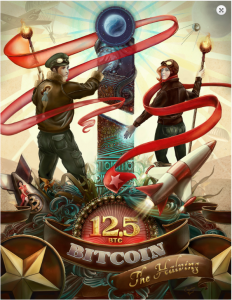 They also have a CryptoArt Gift Shop – where you can purchase a certificate frame, a Texas Bitcoin Conference 2018, A Texas Bitcoin Conference Commemorative Edition Art Print or a Cryptart Collector’s Book. CryptoArt’s paintings along with the paper wallet option makes it a great gift for any crypto enthusiast! 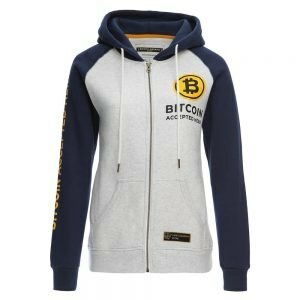 Cointelegraph recently launched Store.cointelegraph, a shop with different clothing accesories such as slippers, socks, t-shirts and even sweatshirts. You can buy any of the things mentioned below using Visa, MasterCard, American Express, ApplePay, Paypal and of course – Bitcoin, which have a 10% cashback for any purchase over 0.10 BTC. They have a variety of options to choose from, as you can see in the pictures below. 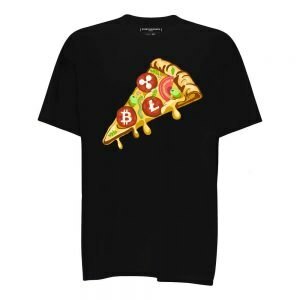 BitcoinShirt is a project launched one year ago – but they did a great jobs with the designs so we felt like we really need to mentioned them – despite the business being fairly new. 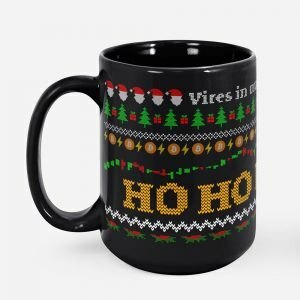 They have a variety of products, from the ‘ HO HO HODL Christmas Mug‘ to nerds favorite ‘ Bitcoin Ugly Christmas Sweather‘ . And the best part of it, you can purchase any product using the Bitcoin Lighting Network. So you surely don’t need to worry about the fees. 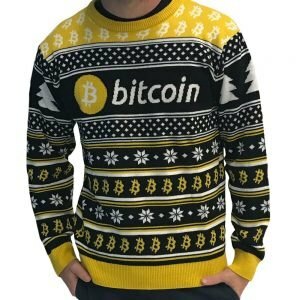 Third but not last, there’s the HodlMoon – the home of the ugly crypto sweaters. 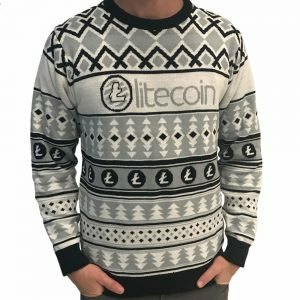 They have a shapeshift integrated checkout so you could use a wide variety of cryptocurrencies to pay for this gift. 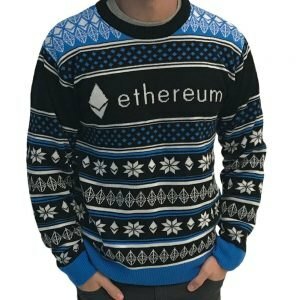 For now, they have only 6 sweaters for 6 different cryptocurrencies – Bitcoin, Ethereum, Litecoin, Monero, NEO and Polymath. 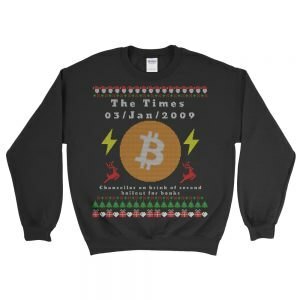 The price is $59.99 per sweater and its a perfect gift for a cryptocurrency geek. Ledger is the top competitor to Trezor. But both of them have valuable products with almost the same security options. 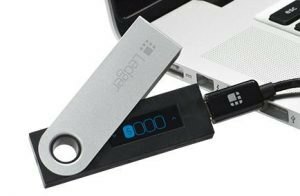 Ledger have two main products – The Ledger Nano S and the Ledger Blue. The Ledger Nano S is the cheapest option from Ledger for a price of $99.99 – with 1,356,743 Ledgers Nano S sold worldwide. The Ledger Blue is their premium option with a touchscreen interface and all the security that Ledger have. The price for a piece like this is $269.99. The main benefit of Ledger is that they have 712 Assets accepted on their hardware wallet. 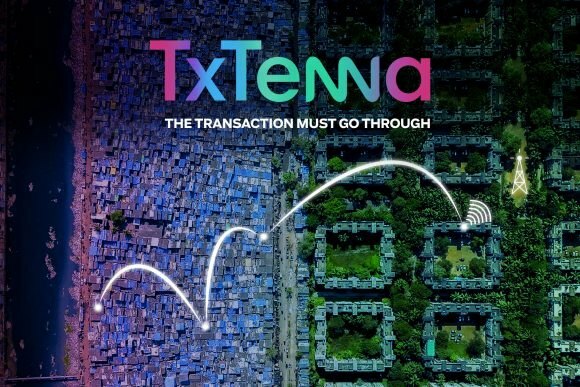 And unlike Trezor, most of them are accepted even by the lower cost model. A Ledger Blue or Ledger Nano S are great options for crypto enthusiasts – and they are known for offer a 20-30% discount for Black Friday. Keep an eye on them tomorrow. If you’re looking for something more luxurious that would make your friends envy. Cryptomatic is the answer. With 2 editions of limited watches being sold out – Cryptomatic launched their 2018 edition – The Envoy. The collection have 4 models with different colors – each model having only 100 pieces. If you’re a crypto enthusiast, this is the perfect jewelry available for any occasion. Moreover, the fact that Cryptomatic sells only limited edition watches makes them even more valuable. Who knows, maybe in the future this would be as valuable as a Rolex for watch collectors. 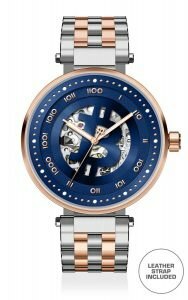 The price for any model its $698 and the watches looks amazing. The company is working since 2013 and their models are wear by crypto investors, hedge funds managers or crypto supporter who believe that crypto have the potential to change the world. Keep an eye on them tomorrow, perhaps they would have a Black Friday campaign. 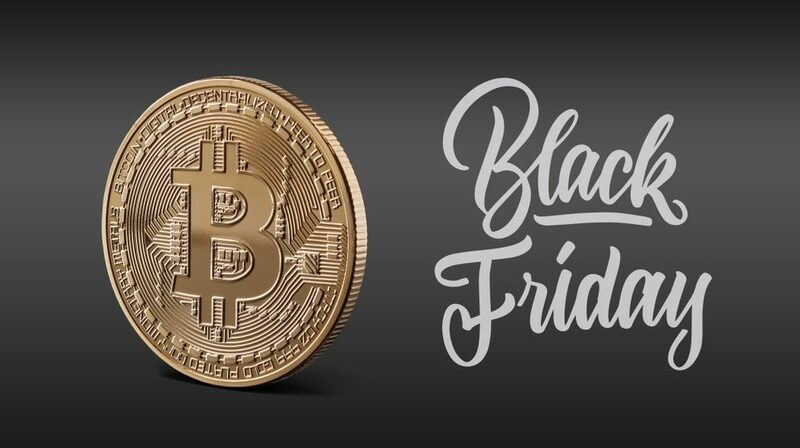 Prepare your funds and stay tuned for the Black Friday Tomorrow!